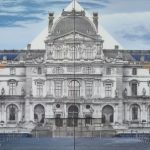 This exhibition from JR opened at the beginning of 2018 at Lazinc and featured: mixed media works, each encompassing preparatory notes, photography and architectural drawings relating to his GIANT series. 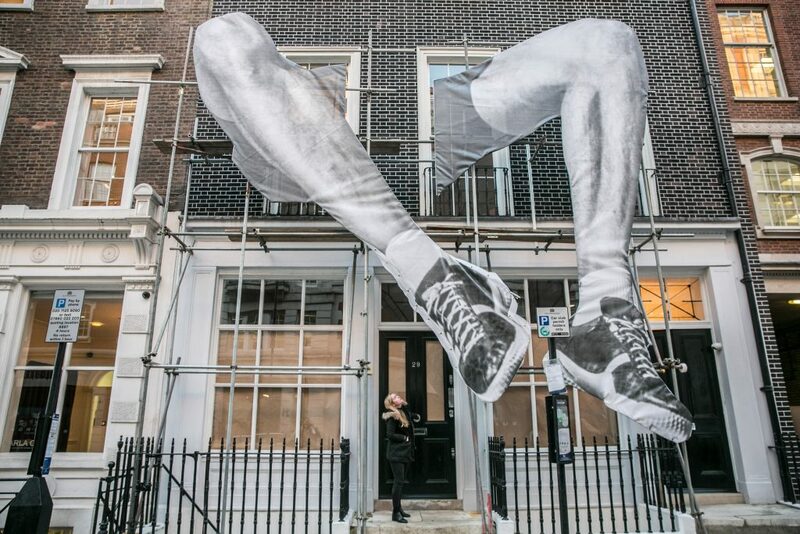 JR also re-create a GIANT installation on the exterior of Lazinc for the exhibition. 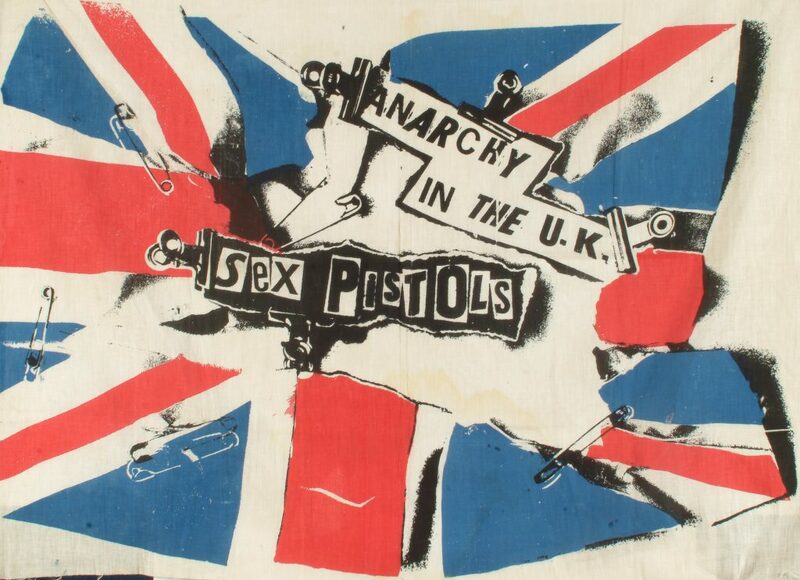 Jamie Reid, Anarchy In The UK, 1976. Screen print on muslin, 690mm x 900mm approx. Private Collection. 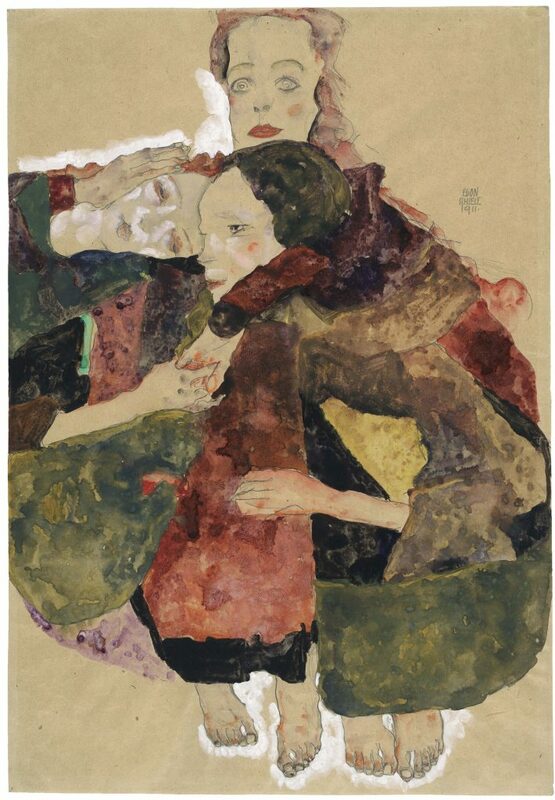 2018 marked the centenary of the deaths of : Gustav Klimt (1862-1918) and Egon Schiele (1890-1918). Klimt / Schiele: Drawings from the Albertina Museum, Vienna, is the first exhibition in the UK to focus on the fundamental importance of drawing for both artists. 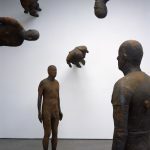 The exhibition opened at the Royal Academy in October and runs until February 3rd 2019 s you still have time to catch this great exhibition. 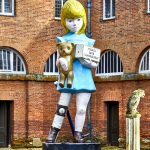 First, of two exhibitions form Gagosian, this was the first exhibition from Hirst’s renewed friendship with Larry Gagosian opening in March it showcased Hirst’s new ‘pointless’ painting, it opened at Gagosian L.A. in Beverly Hills and was followed by his exhibition in the UK at Houghton Hall. 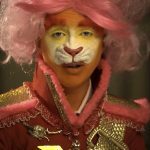 Fashion designer, DJ, and the founder of the Milan-based fashion label Off-White Virgil Abloh (pre -Louis Vuitton) hooked up with Takashi Murakami for an exhibition in London which opened February coinciding with London Fashion Week 2018. 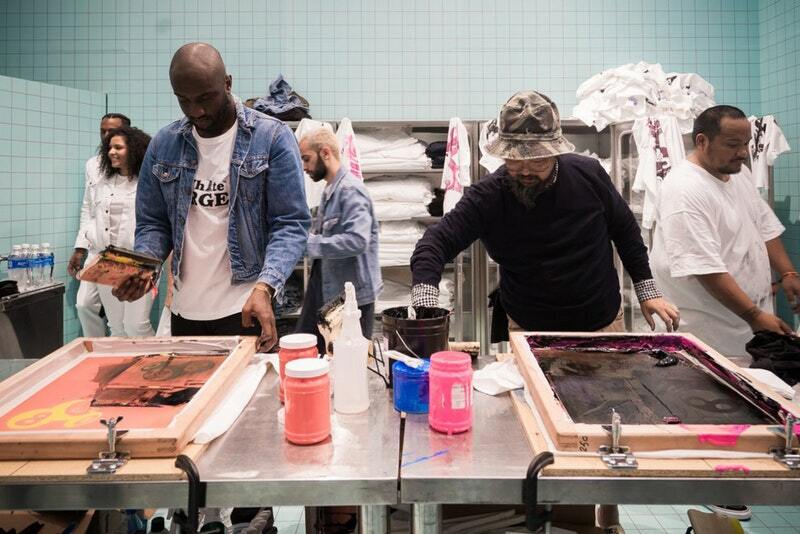 Working together in Murakami’s Tokyo studio, Murakami and Abloh produced a unique series of works in which their styles and trademarks intersected in a stream of freewheeling, punkish mash-ups. 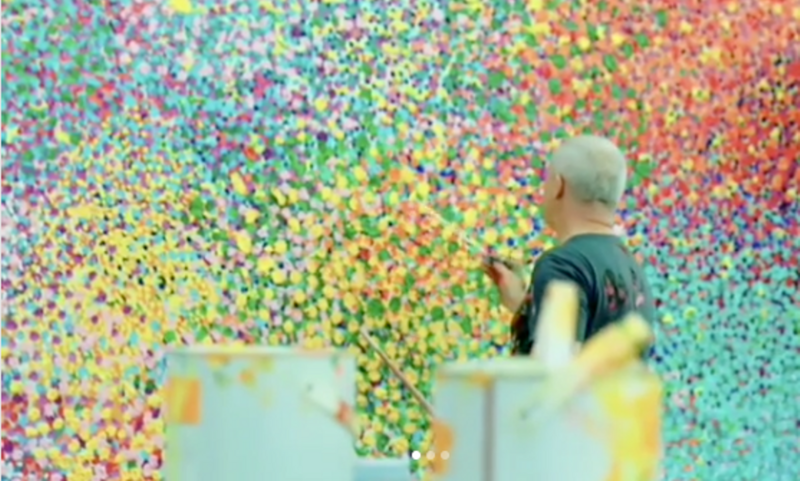 This entry was posted in EXHIBITIONS and tagged Damien Hirst, Gustav Klimt, Humber Street Gallery, Jamie Reid, JR, Klimt, Royal Academy, Schiele, Takashi Murakami, Virgil Abloh. Bookmark the permalink.